A few days ago, I was working the Paul Ricard Circuit, near the “Côte d’Azur.” After the races, I spent two days on my own in the area. 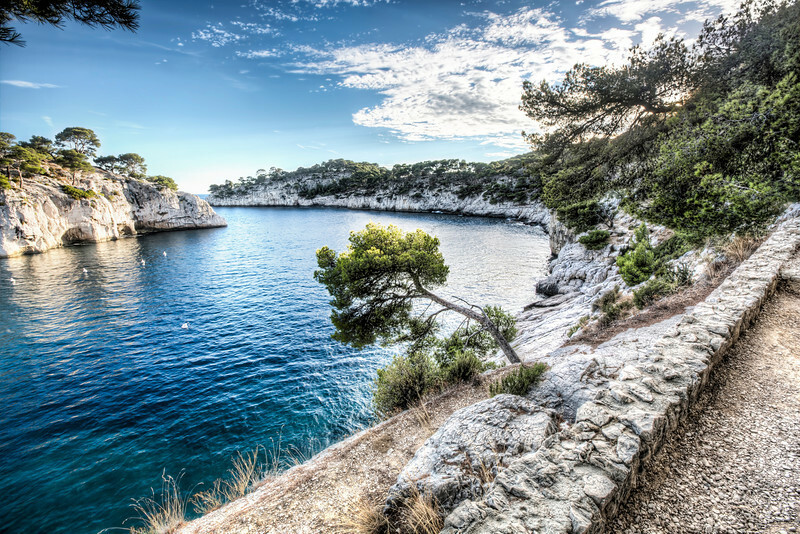 The “Calanques” are one of the wonders of the region; large sea inlets found in a range of 20 km between the city of Cassis and Marseille. This particular one is called “Calanque de Port Miou”; it is very long and narrow and thus was suitable for establishing a marina. This image captures the serene inlet opening. Further down, the 1.5 km inlet offers mooring for over 500 boats.